Choi Jeong Hwa (South Korea). Breathing Flower. Fabric, air blower, LED lamps. On view at the IBM Building. See other works by Choi at the entrance to The Hub and at Honolulu Hale. Greg Semu (Samoa/ Aotearoa New Zealand). 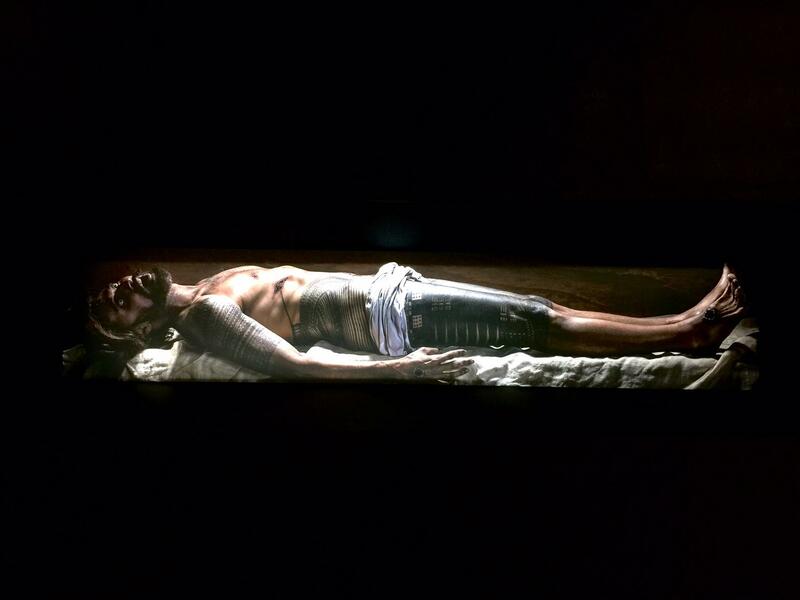 After Hans Holbein the Younger—The Body of the Dead Christ. Photograph. Semu himself stands in for Christ’s body in a recreation of Holbein’s scene. At The Hub on Ward Avenue. Chris Ritson (Hawai’i). Ganoderma. 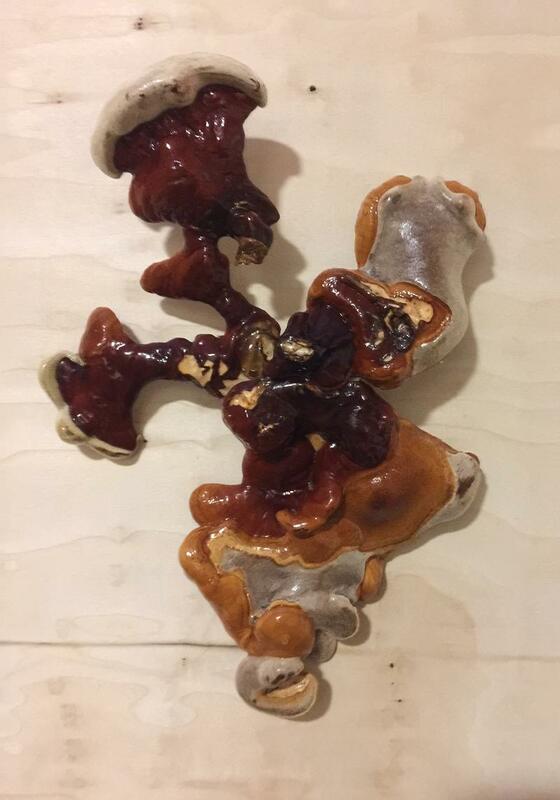 Ganoderma fungi, sawdust, varnish. At The Hub on Ward Avenue. Eko Nugroho (Indonesia). Above the Wall, Under the Rainbow, Free Air I luna o ka paia i lalo o ka ānuenue, ke ‘eā kū‘oko‘a . Acrylic paint. At The Hub on Ward Avenue, Book a tour at Shangri La to see more works by Nugroho. 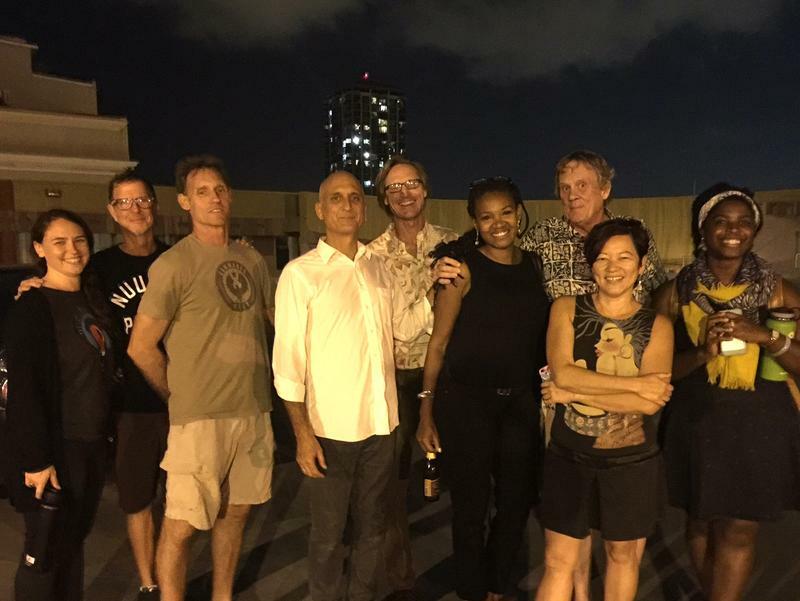 A look at how the Honolulu Biennial is positioning itself and what's in store for Hawai'i audiences. Errata: I mention a giant pink mylar elephant at the start of the story--it is in fact a pig, but honestly it's disorienting with all that shiny pink fabric coming at you in person. See the piece, Love Me, above. Les Filter Feeders: Sally Lundberg and Keith Tallet (Hawaii Island). Local Knowledge (series). Inkjet on silk, enamel, powdered pigment, resin, on wood. Find this luminous series in the Hallway gallery on the Diamond Head side of Honolulu Hale. Art works at Honolulu Hale, Bishop Museum, Foster Botanical Garden, and other venues are viewable during regular business hours. The Hub at the former Sports Authority is open noon to seven, except Wednesdays. 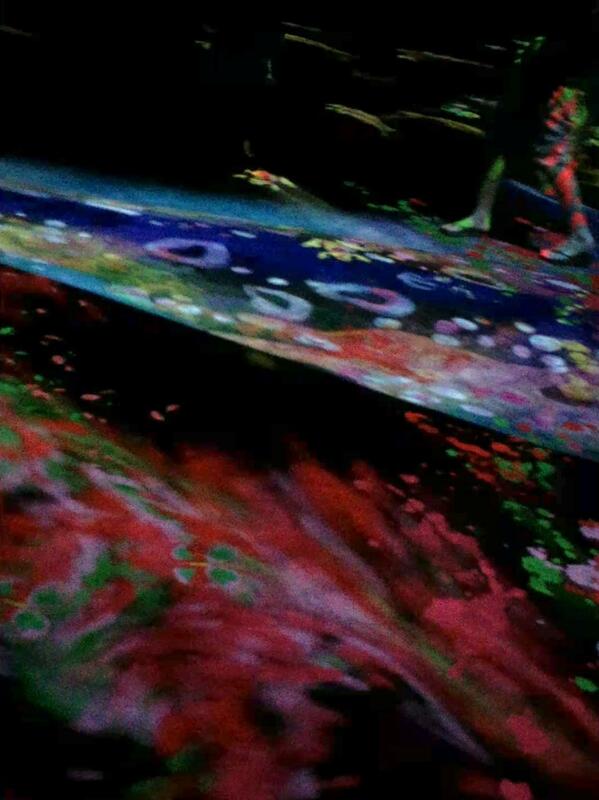 See a video inside the TeamLab installation, Graffiti Nature, at The Hub. 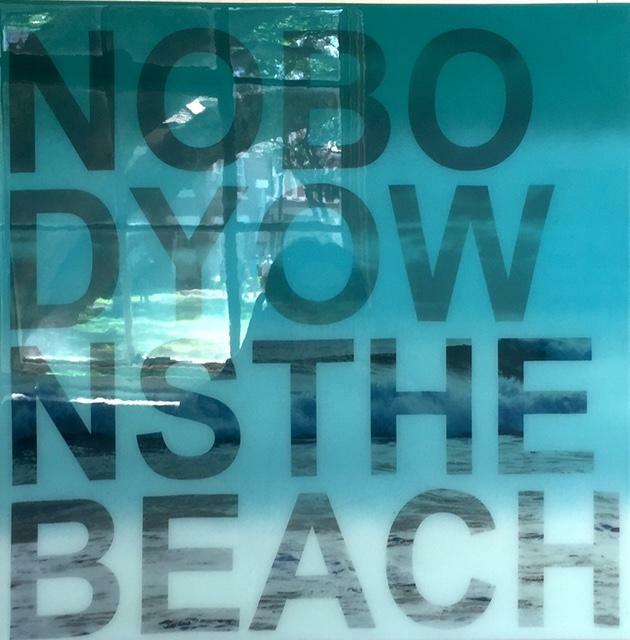 Exhibits and programs for the first Honolulu Biennial continue through May 8th. Suggested strategy: Go to The Hub as soon as possible. $25 covers admission for 2, give it a couple hours, come out and grab something to eat and go back. Take the kids, there's a whole HB kids' workbook and they'll like the space, especially the TeamLab piece. Get a program and plug into the talk and lecture series. See Chou Jeong Hwa's amazing stalagmites at Honolulu Hale, don't miss Les Filter Feeders' fine resin exhortations in the hallway gallery on the Diamond Head side. Over the next month take in the other locations: Foster Botanical Garden, Bishop Museum, Prince Hotel Waikiki, the Arts at Marks Garage, Shangri La, Honolulu Museum of Art, and IBM building. A twenty foot tall siny pink pig with wings (by Choi Jeong Hwa) greets you walking up to the old Sports Authority these days, it’s now the Hub of the Honolulu Biennial and inside, the whole idea is to thrill you. HB curator, Ngahiraka Mason, is guiding us. Ken and Julia Yonetani (Japan/Australia). Crystal Palace: The Great Exhibition of the Works of Industry of all Nuclear nations (series). 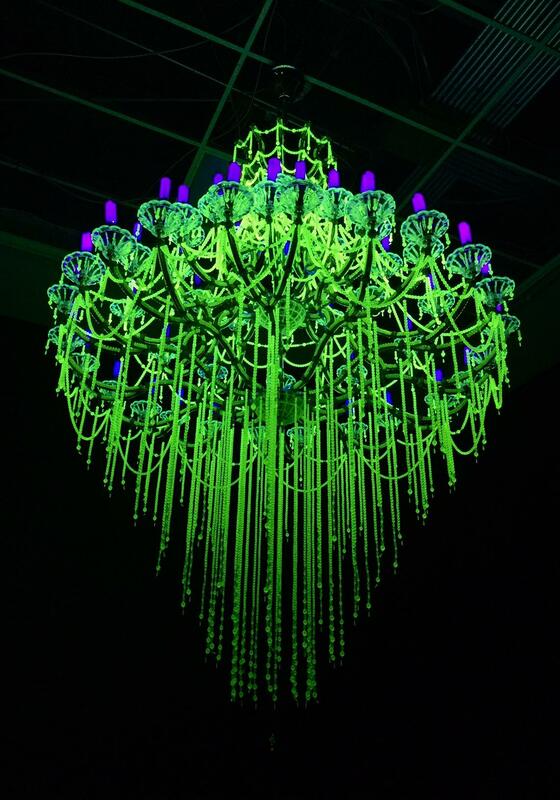 Uranium glass,antique chandelier frames, UV lights. Over thirty chandeliers have been made, the size of each represents the number of nuclear power plants in various countries. Four chandeliers appear in the HB show representing the USA, Taiwan, Japan, and China. The US chandelier pictured here is the largest and most opulent. Ken and Julia Yonetani have darkened a room, and suspended from the ceiling, ornate antique chandeliers glow with glass beads made from depleted uranium. Chandelier size represents the number of nuclear power stations in four given countries: the US chandelier is huge, and beautiful. The smallest is Taiwan, then Japan, and larger at the other end, is China. Mason: “A goal for me is to celebrate the amazing talent that is in Hawai‘i and to honor that talent and put in on the world stage with international artists.” That differentiates the Honolulu Biennial from others with more purely fiscal goals. Biennials are traditionally organized by weighty arts institutions, the government, or a hui of galleries. Isabella Ellaheh Hughes, with co-founders Koan Jeff Baysa and Katherine Ann Tuider, all believed Hawai‘i’s art deserves an international Biennial. At their best, Biennials transform all kinds of venues with art, and a new spirit seeps into the city. Hawai‘i island artist Keith Tallet feels some of that. Yuki Kihara (Samoa/Aotearoa New Zealand). A Study of a Samoan Savage (series). C-print on aluminum. Kihara’s series reflects on anthropometric studies of Polynesian men conducted in the 19th century. 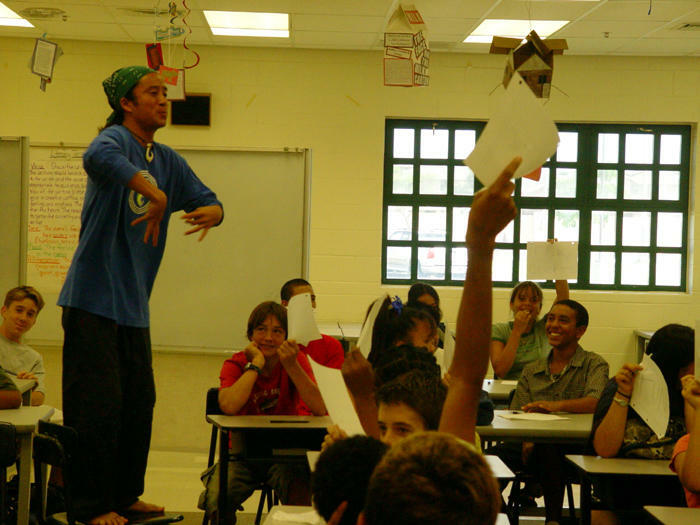 Kihara is fa’afafine, the third gender in Samoan culture. Several life sized boats fill the entry space, they’re piled high with the stuff of memories in a piece by Alfredo and Isabel Aquilizan of the Philippines. Do not miss the interactive immersion nature video installation by TeamLab of Japan. TeamLab (Japan). Graffiti Nature. Interactive digital installation at The Hub, the former Sports Authority space on Ward Avenue. Fun for all ages. Sculptor Kāili Chun has pieces at the Waikīkī Prince Hotel and in Artists of Hawai‘i at the Honolulu Museum. Kaili Chun (Hawai’i). Hulali I Ka La. Copper, wood, mixed media. 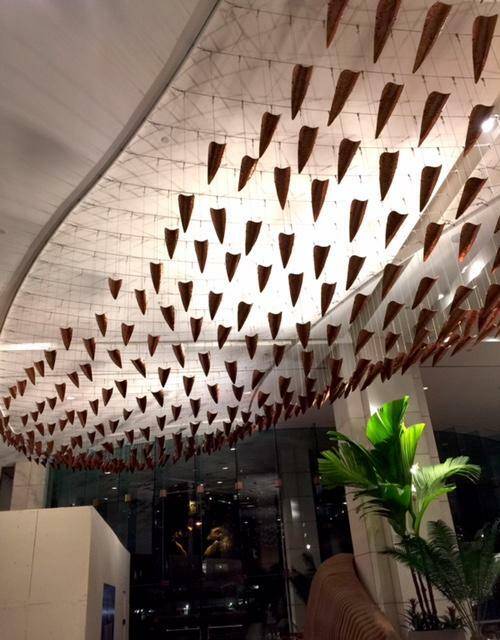 This hanging sculpture with related wooden elements is a permanent installation at the Hawai’i Prince Hotel Waikiki. Like a school of hinana fish, some of the 850 copper pieces here were made by hotel employees. 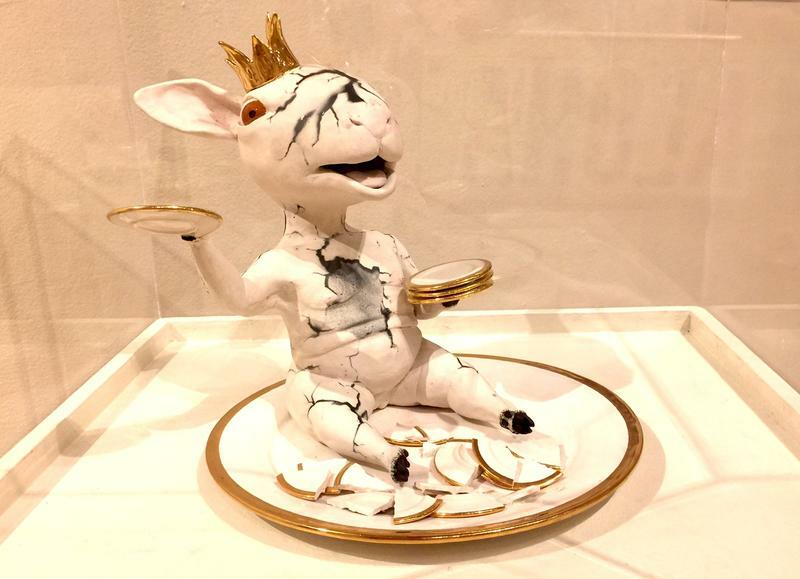 Chun is also a featured artist in Artists of Hawai’i at the Honolulu Museum of Art. There is a rich, international dialog about art that could benefit from Hawai‘i’s input. Choi Jeong Hwaa (Korea). Gather Together. Recycled plastic, steel. These plastic buoys were collected from around the Hawaiian Islands with help from Sustainable Coastlines Hawai'i. This reminds me of how the Honolulu International Film Festival started out. Audiences here got into it, got educated and a savvy film community emerged. Check it out, the Honolulu Hale atrium looks like a cathedral. As usual, Hawai‘i could offer more than expected with its Biennial, not just fine art, but another way of doing things. 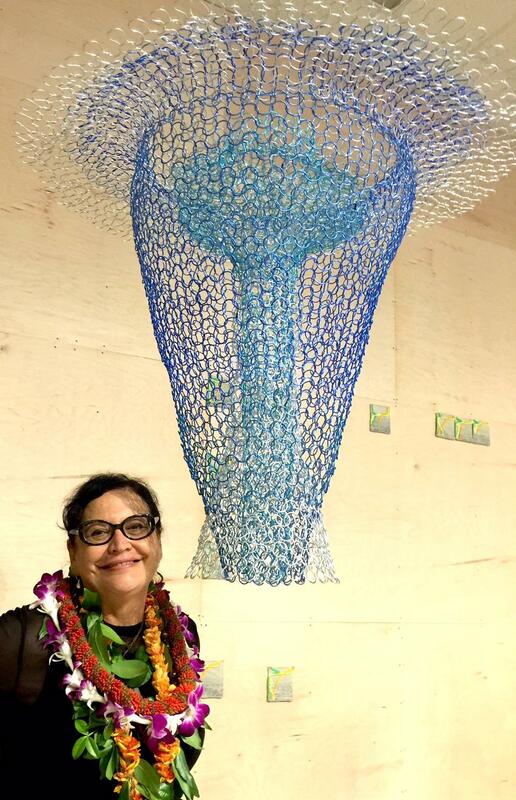 Honolulu Biennial Curator Ngahiraka Mason (Aotearoa New Zealand/Hawai'i) with Michelle Schwengel Regala's Water Column. Copper and aluminum wire, at The Hub on Ward Avenue. Mason contends, we don’t have to follow on the heels of what happens in Europe. Hawai‘i is much more vibrant, diverse, community oriented, and maybe more 21st century. Why wouldn’t we be leaders in this type of thing?